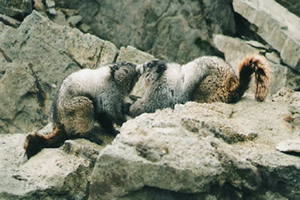 Hoary Marmots, Marmota caligata, are residents of the rocks that form the base of the mountain slopes. These homes provide protection from predators which include eagles, coyotes, wolves and bears. 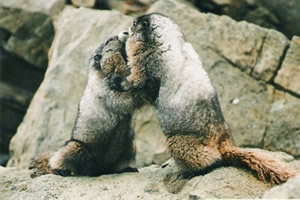 They are relatives of squirrels but are considerably bigger, weighing 10 pounds or more. 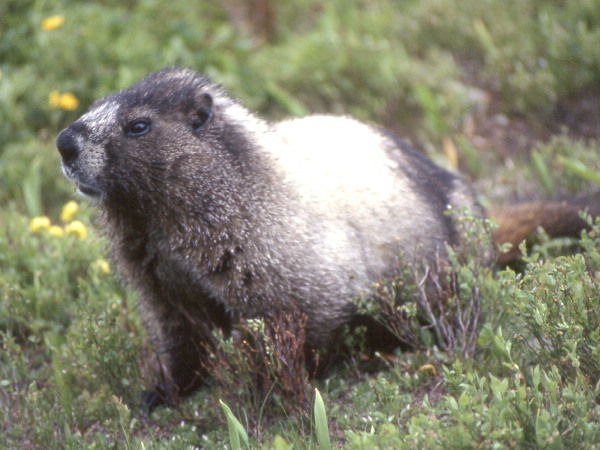 They accumulate a large amount of fat during the short summer months when they are active which sustains them through the long winter hibernation. 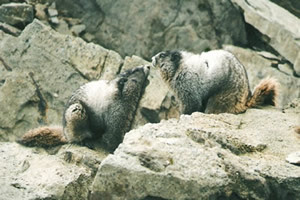 The front paws are clawed for digging burrows and although they have big teeth their diet is made up of grasses and flowering plants with occasional berries and mosses. 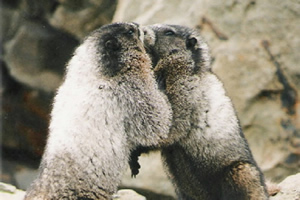 Hoary Marmots are mostly gray, with a much darker back and face which has a white patch above the nose area. The tail is more of a reddish brown, with usually dark brown feet. These varying colours helps them to blend in with their surroundings: the lichen covered rocks and the rusty colored soils. 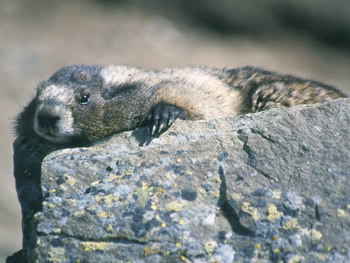 They enjoy lazing about on the rocks in early spring, taking in the warmth of the suns rays. As the days become longer they spend more time outside their burrows and as they are sociable creatures, the young play like other children do. 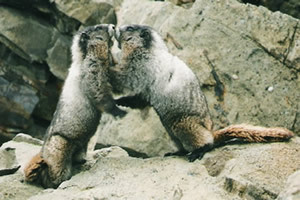 One of their pastimes is wrestling, and our staff photographer was fortunate to witness one of these skirmishes, luckily with a camera. 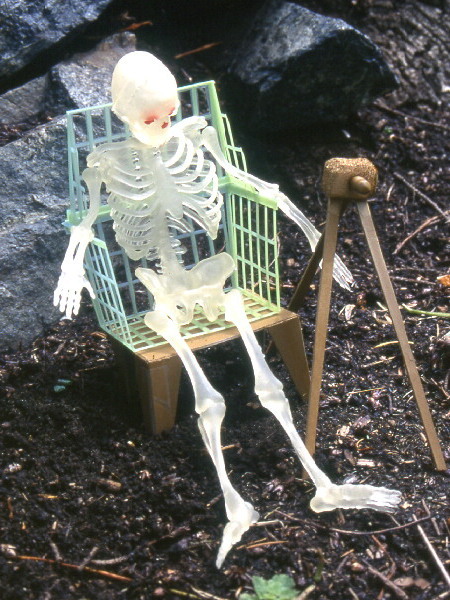 He had to wait a long time, though! They start off making faces at each other, and then they get serious. 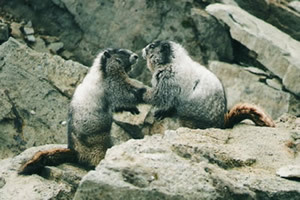 When danger threatens their alarm call is a very loud whistle, so popular in mountain areas that a ski area was named after the Hoary Marmot's whistle, yes, you guessed it, Whistler, British Columbia, home of the 2010 Olympic winter games.